“Luther took the hidden God seriously for a number of reasons. Without the admission that there is more to God than meets either eye or ear, God could be tamed, measured, managed within the realm of the human ability and possibility to judge. From the human perspective God remains God because human creatures are creatures as well as sinners, and it is not possible for the product of God’s creative words to master knowledge of the Creator. “…In the Heidelberg Disputation Luther had focused first on the blank wall created by the impossibility of the human creature’s, to say nothing of sinner’s, conceptualizing of God, just to prove that with fallen eyes no one can see God. With fallen human ears no one can return to the Edenic hearing of his Word. 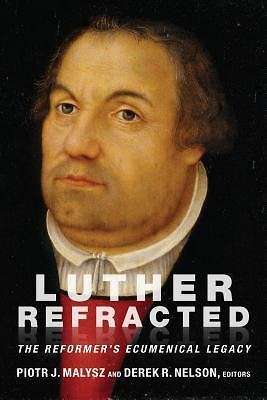 Then Luther focused very sharply on God in his revelation of himself (John 1:18): no one has seen God, but Jesus of Nazareth, God in the flesh, has made him known: a God with holes in his hands, feet, and side; the God who has come near to humankind, into the midst of its twisted and ruined existence” (Kolb, Bound Choice, pg 36).